Richmond, VA – Mayor Levar M. Stoney today announced a plan to engage Richmond residents in the process of seeking a permanent replacement to succeed retired Richmond Police Department Chief Alfred Durham. The five-week public engagement period will commence with a series of public forums and community meetings sponsored by the City’s Department of Human Resources, as well as an online survey for residents to complete. The survey can be found here, at richmondgov.com in the City News section. 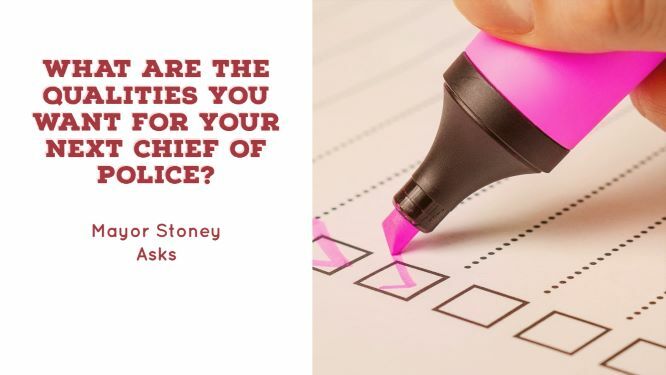 The engagement is believed to be the first time in recent city history that feedback from the community has been formally solicited by a mayor as part of the hiring process for a new police chief. The city will conduct a national search.